Whole Foods Fined Almost $800K For "Mislabeling" Foods...WOW, That's A "WHOLE" Lotta Money!!! Whole Foods Fined Almost $800K For “Mislabeling” Foods…WOW, That’s A “WHOLE” Lotta Money!!! 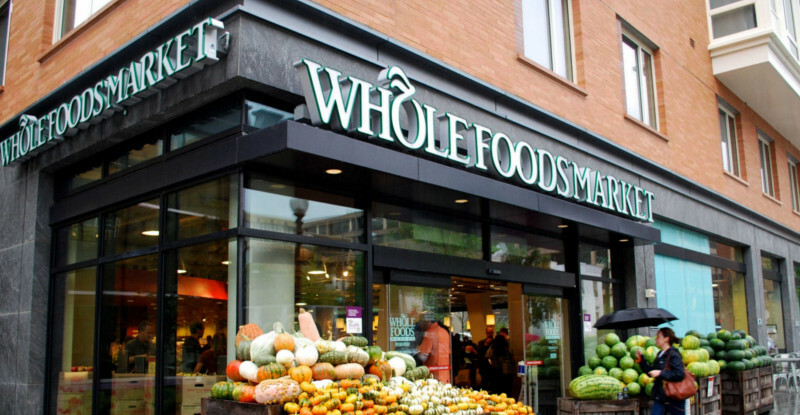 New York City’s Department of Consumer Affairs (DCA) said Wednesday that an ongoing investigation of Whole Foods Market stores has found systemic overcharging of its customers for prepackaged food. “The overcharges ranged from [80 cents] for a package of pecan panko to $14.84 for a package of coconut shrimp,” the agency said in a statement. “Our inspectors tell me this is the worst case of mislabeling they have seen in their careers,” said DCA Commissioner Julie Menin in a statement. “The overcharges were especially prevalent in packages that had been labeled with exactly the same weight when it would be practically impossible for all of the packages to weigh the same amount. These products included nuts and other snack products (flavored almonds, pecan panko and corn nuts), berries, vegetables, and seafood,” it added. Falsely labeling a package carries a first-time fine as high as $950 and up to $1,700 for subsequent violations. “The potential number of violations that Whole Foods faces for all prepackaged goods in the NYC stores is in the thousands,” the agency also said. The investigation was first reported by the New York Daily News. Shares of Whole Foods were down slightly late morning Wednesday. I am not surprised. I always felt we are being robbed of the weight in many things we buy.